Waterstones and Amazon’s Kindle turn a new chapter! Here is a very interesting article…! 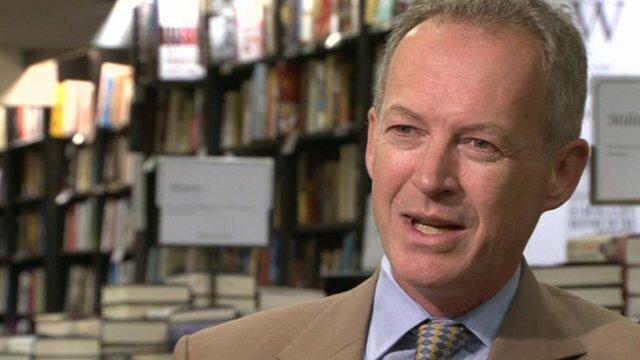 Leo Kelion talks to Waterstones’s managing director James Daunt about his company’s relationship with Amazon. It was the twist no-one saw coming. After previously describing Amazon as “a ruthless, money-making devil”, Waterstones’s managing director, James Daunt, announced in May that he was teaming up with the US internet store and would sell and promote its Kindle tablets and e-readers in the UK’s premier book chain. Few predicted a happy ending: “A deal for destruction”, “Strange bedfellows”, and “Waterstones let the fox into the chicken run” exclaimed some of the resulting headlines. Had the former JP Morgan banker doomed the group less than a year after being appointed as its managing director? 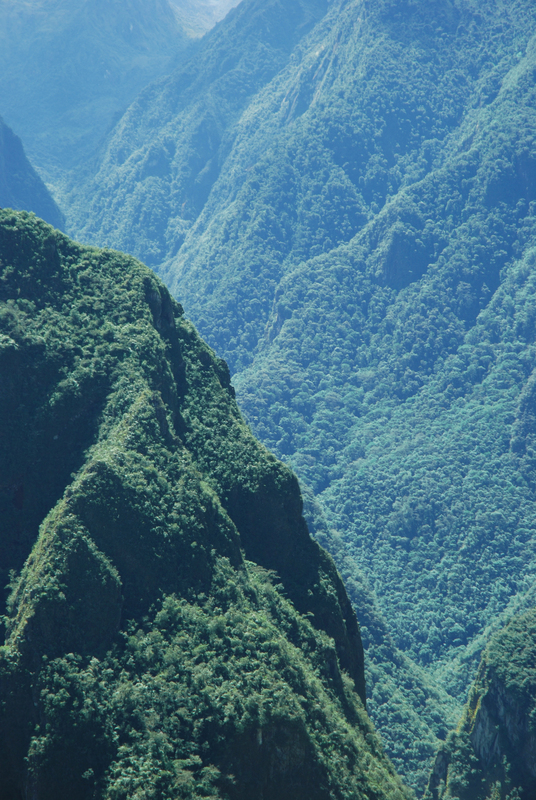 “A world that is totally dominated by Amazon will be a poorer one,” Mr Daunt tells the BBC when asked about the decision. The 49-year-old has already distanced Waterstones from its roots, dropping the apostrophe in its name to the dismay of punctuation campaigners. 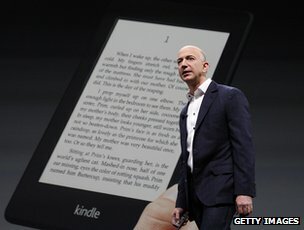 But the decision to ditch Sony’s e-readers and promote Amazon’s is clearly his most controversial to date. For someone who has apparently signed his company’s death warrant he appears focused and optimistic about the group’s future, determined to complete a costly refit programme designed to upgrade its 300 stores. And though he remains tight-lipped about the terms of the Amazon arrangement, he insists the agreement is to his advantage, whatever others suggest. “I certainly won’t tell you what I’m going to make with Amazon, but what I will freely admit is that we have a commercial business here, and we make sensible commercial decisions. Although the criticisms may have stung, Mr Daunt believes he has made the pragmatic choice. His customers are increasingly reading books on digital devices with Amazon proving their most popular option. To ignore the phenomenon, he argues, would undermine the bookseller’s relationship with its readers. “If they choose to read digitally I have to become involved in that game,” he explains, adding that it would be beyond the firm’s resources to develop its own family of tablets and e-readers. Instead he plans to offer add-on services – allowing visitors the chance to use Kindles to browse Waterstones’s own recommendations and then read them for free while in-store. “The principle is simple,” he says. Ultimately he hopes to be able to tailor recommendations to each shop’s location and staff – but even in its basic state the feature won’t be able to launch until technical issues are worked out and publishers sign up. A potential problem with this model is that once shoppers try out an e-reader – whether its a Kindle, Nook, Kobo or other device – they often browse bookshops’s shelves, make lists of what they want but then buy via the internet at home. The e-book trend may be inevitable, critics say, but embracing it will only hasten Waterstones’s decline. Mr Daunt suggests they misunderstand his methods. “All that we have to do is encourage people to come into our shops and to choose the books,” he says. “I don’t frankly care how they then consume then, or read them, or indeed buy them. That money won’t necessarily be on books. Waterstones stores are already stocking more stationery, games and puzzles. The next step is to create cafes inside the chain following a successful trial. “It is literally the booksellers that’s made you the cup of coffee,” he says. “Yes, it’s slightly grubby that you’ve handed over two quid to get that cup of coffee – but it is extremely nice. The move may appall traditionalists, and making space for coffee and Kindles does ultimately mean less for bookshelves. But Mr Daunt says the action is overdue. “Do we have an awful lot of books in our shops that don’t frankly sell?” he asks. Fiction, cookery and biography will stay, he says, but specialised topics, such as law studies, face the chop. At the core of his strategy is the assumption that if his staff make the right picks and provide the right environment, customers will want to spend time in a book-browsing environment. “I certainly believe that ownership of the physical book does matter,” he adds. “Whereas that little file embedded in a piece of plastic isn’t pretty to look at. You can’t lend it. You can’t sell it. 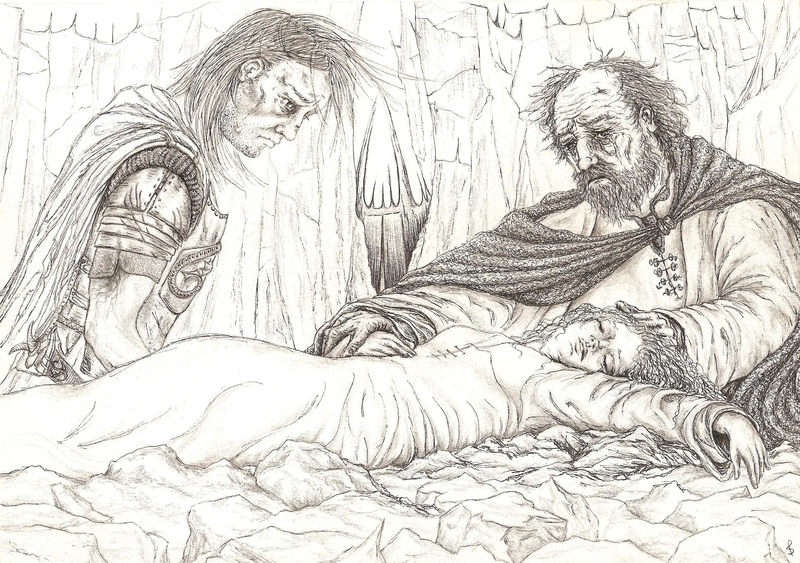 And you can’t bequeath it to your children. “Digital is convenient in some situations – travelling, or reading at night when you don’t want to wake the wife. 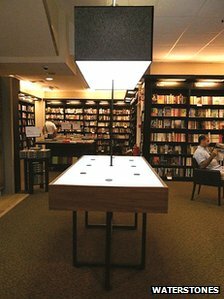 Whether Waterstones’s next chapter goes as planned will now depend on how much the public are as wedded to the traditional format. The rollercoaster continues…another newspaper article! Okay, so all good things come to an end, right? I’m expecting the same to happen here too, and the anvil to drop on my head at any moment…that’s the pessimist in me trying to be optimist by the way! 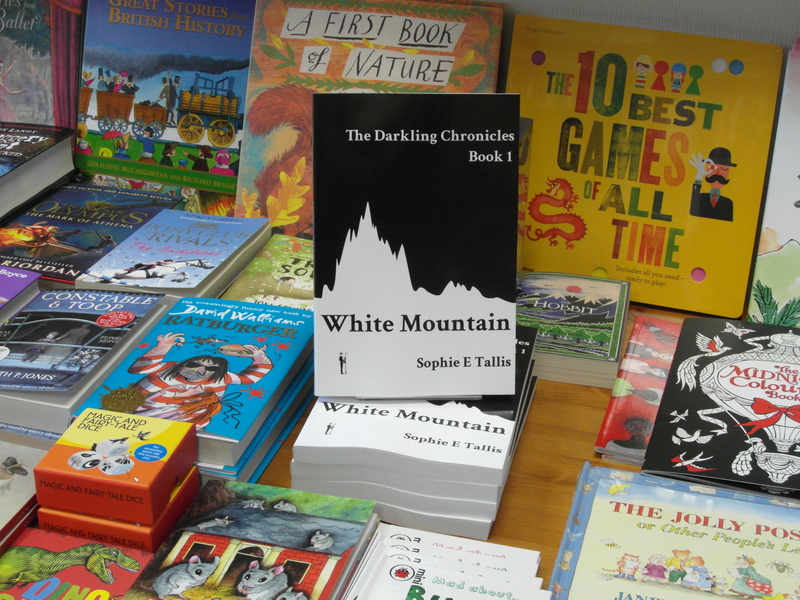 My debut novel was published exactly three weeks ago and in that time I have had three wildly successful author signing events, several interviews and have been in three newspapers and even mentioned in the Cotswold Life magazine. 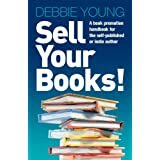 So, on Tuesday I have another interview, this time with the lovely Debbie Young of Readathon UK – a wonderful charity that promotes reading for pleasure in schools and libraries across the country and raises money for sick children. What’s not to love, eh? Readathon UK has also had some huge literary names supporting it, such as honorary chairman Roald Dahl, Quentin Blake, current Children’s Laureate Julia Donaldson, Frank Delaney and Micheal Rosen to name but a few. Little old me will be somewhat overwhelmed in such company, but I’m looking forward to the interview. As for now, I’m thrilled to share with you guys, that The Stroud News & Journal newspaper has featured my book in their ‘Books Special’ (Wednesday 17th October 2012, p26) and in their Arts & Entertainment section on their website! Strange things have been happening…very strange things. 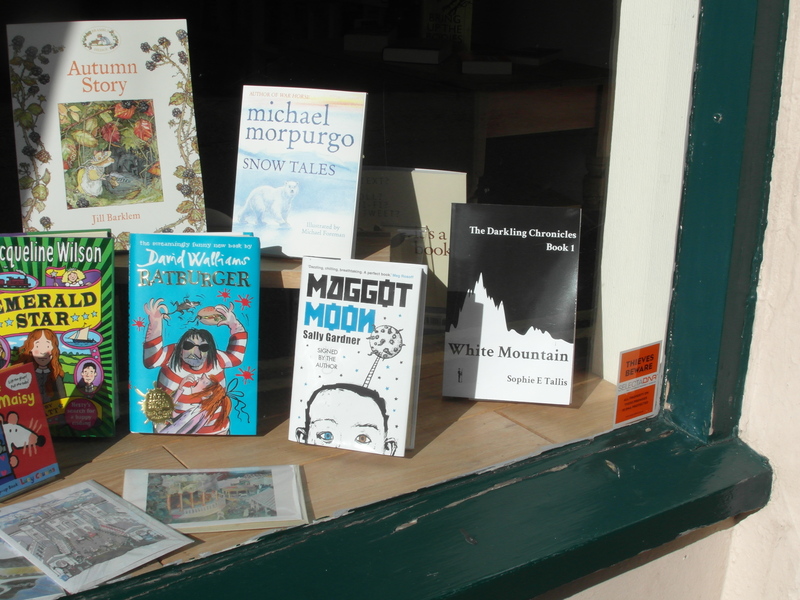 It seems that I am stalking Michael Morpurgo! Since my debut novel was published or should I say born into the world on 30th September, I’ve been lost in a wondrous maelstrom of writing, promotion, marketing, newspaper articles and my first book signings. 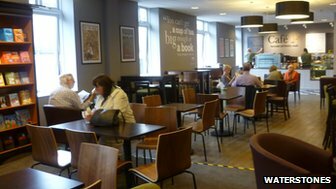 To date, I have just had my third author signing event, this time at the huge Waterstones branch in Cardiff. Even though each signing is akin to standing in the sports hall of your school during your final year prom, waiting for someone to pick you to dance, i.e. 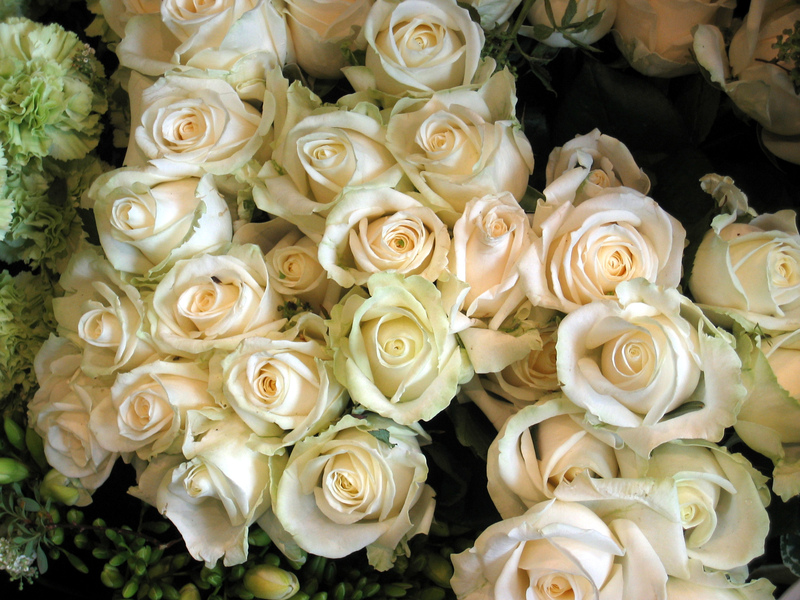 exhilarating and embarrassing in equal measure – talking to people has been wonderful. 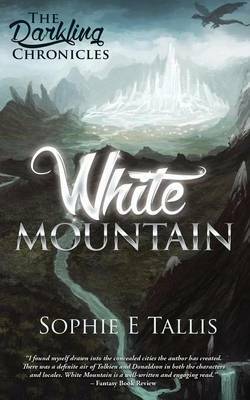 I’d like to thank an especially lovely couple yesterday who bought a copy of White Mountain and were so enthusiastic and full of energy about my book and our shared love of writing, illustrations and fantasy, that I could have chatted to them all day! But yes, life recently has been a complete whirlwind and something of a surreal dream. 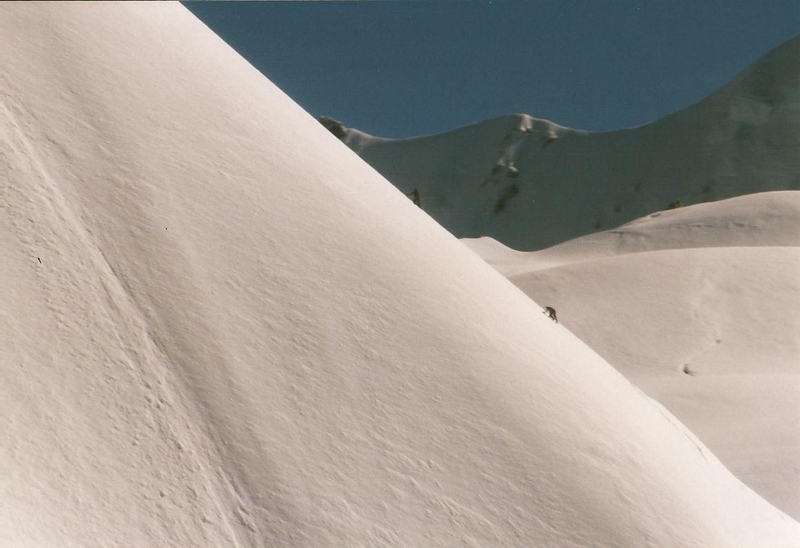 Surreal is a good word to describe it, though perhaps unreal is nearer the mark. We all live, for the most part, little innocuous lives. I certainly have for the last 3o something years. Just a quiet bumbling sort of life, lurching from one mishap into another. Fumbling my way through life while I studiously and anonymously scribble away at my stories, dreaming one day that they will proudly sit upon the bookshelves of my lovely local independent bookshop, Waterstones or WHSmith’s, hopefully next to another great literary work. Well, I know I’m never going to be the astronaut I wanted to be (…er…or space pirate!) and dreams of being a mermaid have slipped away as I’ve grown older (notice I don’t say wiser). But being a writer was always a dream I believed would happen…and eventually it has. All good things come to those that wait, eh? 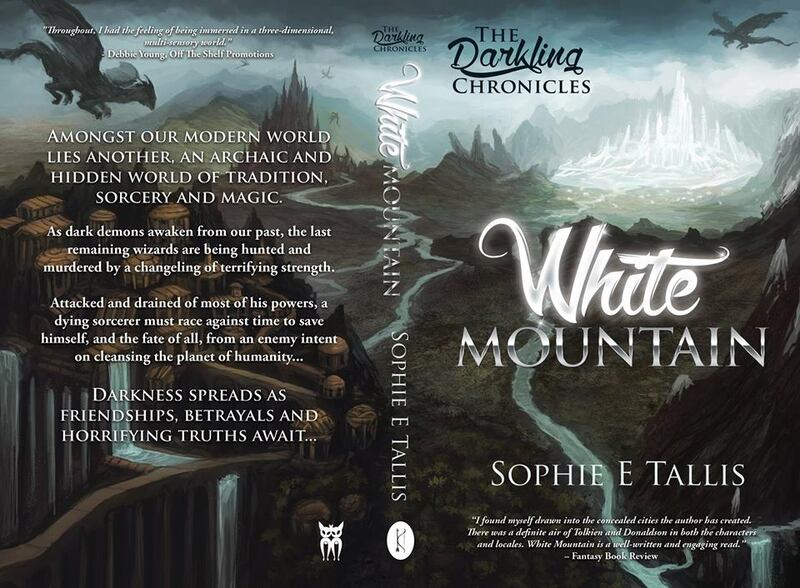 White Mountain – Book 1 of The Darkling Chronicles, may be an epic fantasy for the 21st century full of adventure, dark magic, love, loss, friendship and betrayal, but it would also appear that my beloved novel is somewhat of a stalker! 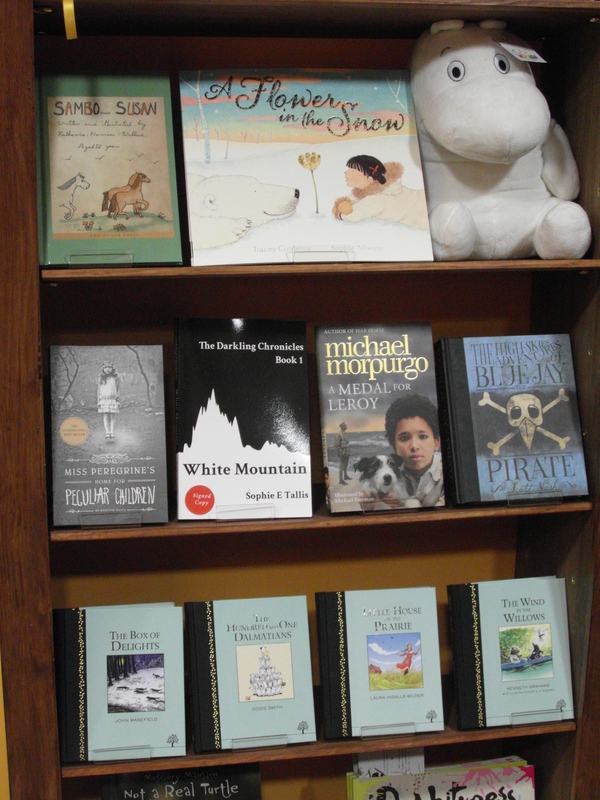 Everywhere I look, White Mountain is determinedly following and sidling up to the wonderful Michael Morpurgo! 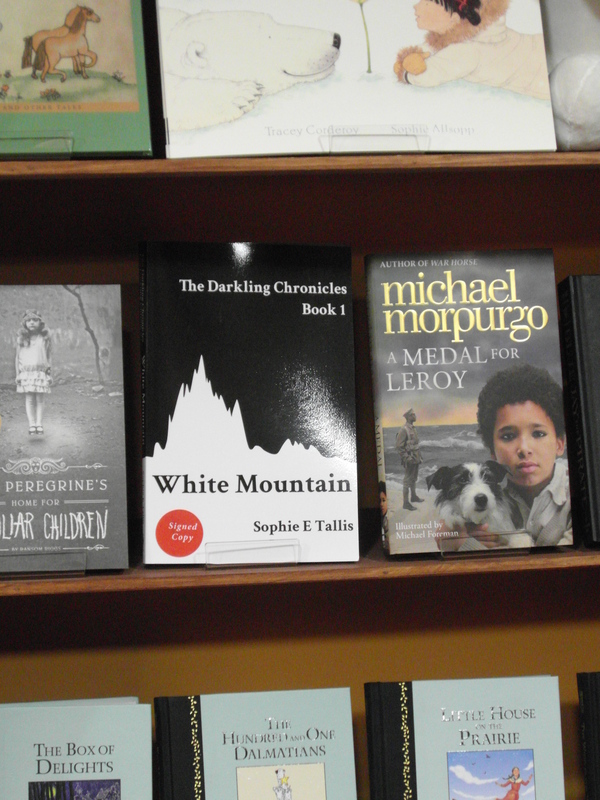 Yes, my novel is stalking Michael Morpurgo – the illustrious and critically acclaimed writer I have admired for many years who, after the film of his novel ‘War Horse’, is also in great demand! 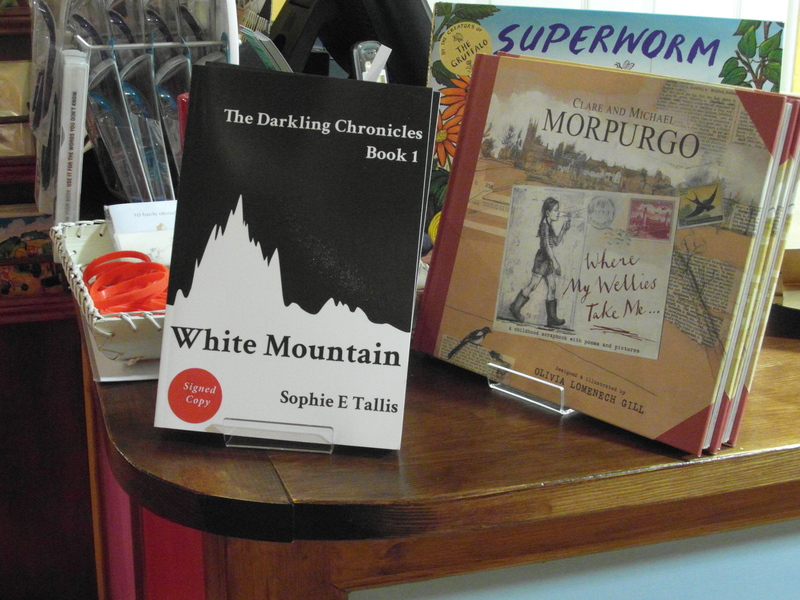 There, in every shop I visited, sat my novel sitting proudly next to one of his. I can’t tell you the thrill of that! So…I would like to take the opportunity of not only thanking Octavia’s Bookshop in Cirencester (www.octaviasbookshop.co.uk), The Yellow-Lighted Bookshop in Nailsworth, The Yellow-Lighted Bookshop in Tetbury (www.yellow-lightedbookshop.co.uk) and Stroud Children’s Bookshop…but I would like to thank a total stranger who is also a bit of a hero for me, the multi-talented, Michael Morpurgo! Thank you, Michael. 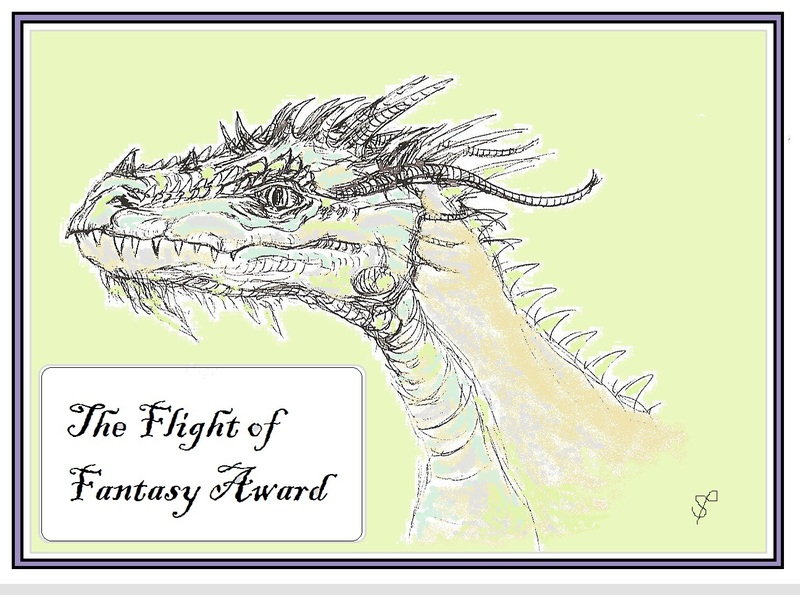 Even though you don’t know me from Adam, Eve, or a dude called Bob, my novel and I want to thank you from the bottom of our dragon fuelled hearts! Dodging boomerangs, celebrating and passing 6,000!!!! Strange how life throws boomerangs at you periodically. You get something really great that happens to you and then you get a bunch of obstacles and unforeseen difficulties that get in the way. Recently I’ve had one of the best days of my life, my wonderful book launch at Octavia’s Bookshop www.octaviasbookshop.co.uk a little over a week ago, which to my utter delight was a complete sell out! Yes, we sold out of every book in just over an hour!! I hate being ill as we all do and I never, never take time off work…but have spent the last few days curled up in bed with the curtains drawn, like some oversized dormouse. Ughhh. Juggling life, work and stress is tricky at the best of times but throw in illness and it’s a kicker. 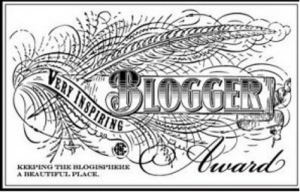 So, it is with total unbridled joy that with a bag of frozen peas on my head, I popped onto the computer and saw that my beloved little blog has passed the 6,000 visitors mark!!! I am SOOOOOOO thrilled and delighted and genuinely touched by all the amazing support I’ve received from friends and strangers a like! 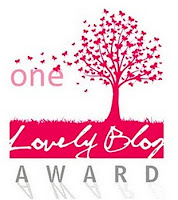 Thank you to everyone who has dropped by this little blog to say hello, to hang out for a while, or just to whizz by. Whether you are frequent visitors or one-time passers-by, thank you, thank you, thank you! I won’t share my migraines, but I’ll happily share the LOVE!!!! !